The newspaper “Respublika” from April 30, 2014. The staff of the State Budget Organization of the Republic of Komi “Center “Nasledie” after Pitirim Sorokin” warmly congratulates on the birthday Sergei Pitirimovich Sorokin. 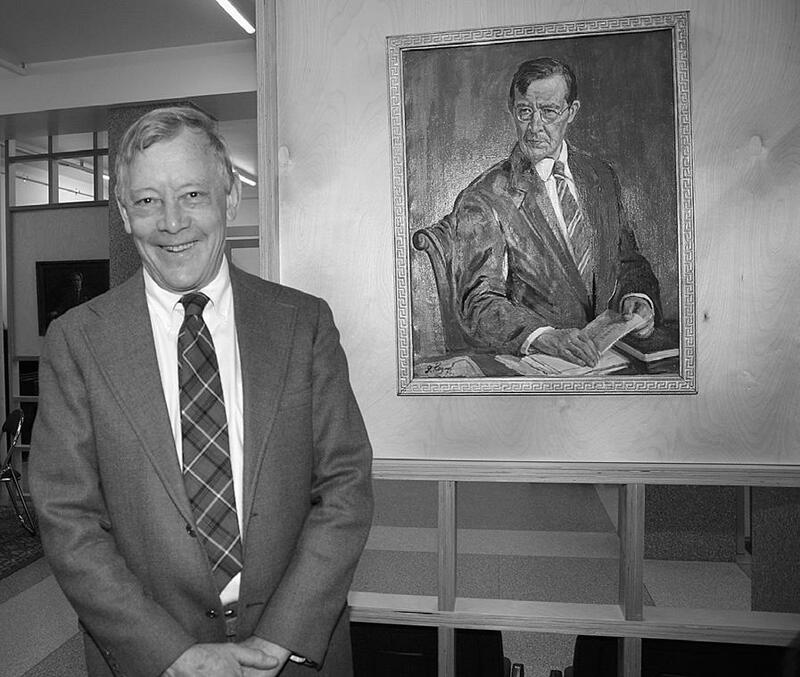 We wish Sergei Pitirimovich strong health, prosperity and fruitful work in the preservation of the heritage of the world-famous Russian-American sociologist Pitirim Alexandrovich Sorokin. 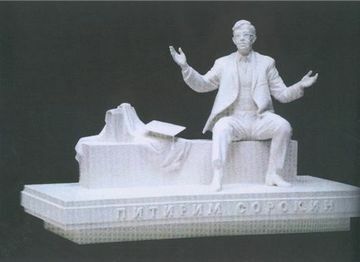 On April 7, 2014 in the Technological Lyceum in Syktyvkar the participants of the Republican Olympiad “Life and creative work of Pitirim Sorokin” were awarded. On April 4, 2014 the methodists of the State Budget Organization of the Republic of Komi “Center “Nasledie” after Pitirim Sorokin” E.A. Chipsanova and A.M. Kanev took part in the All-Russian Scientific and Practical Youth Conference “Russian Politeia in the XXI century: Internal and External Challenges”. 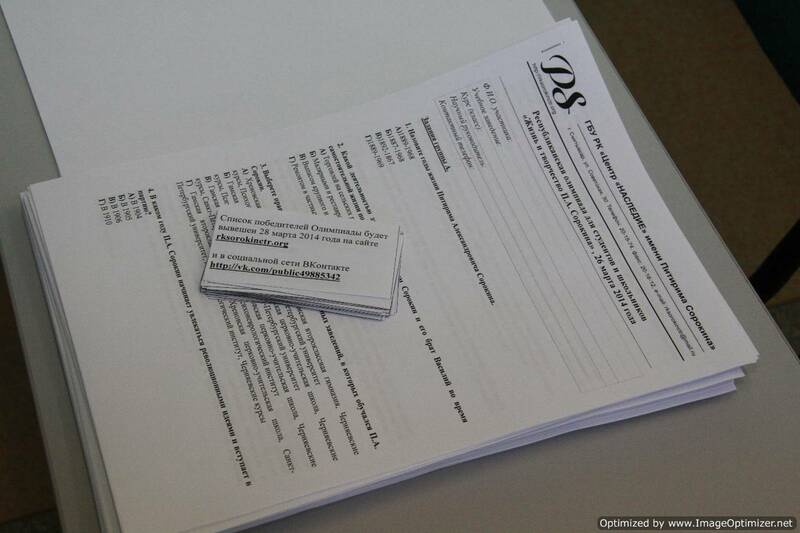 On March 27, 2014 in the Komi republican academy of state service and administration within the framework of III Interregional Youth Scientific Forum “Academic Spring – 2014”, the work of section, dedicated to the 125th anniversary of the birth of P.A. Sorokin, was held. 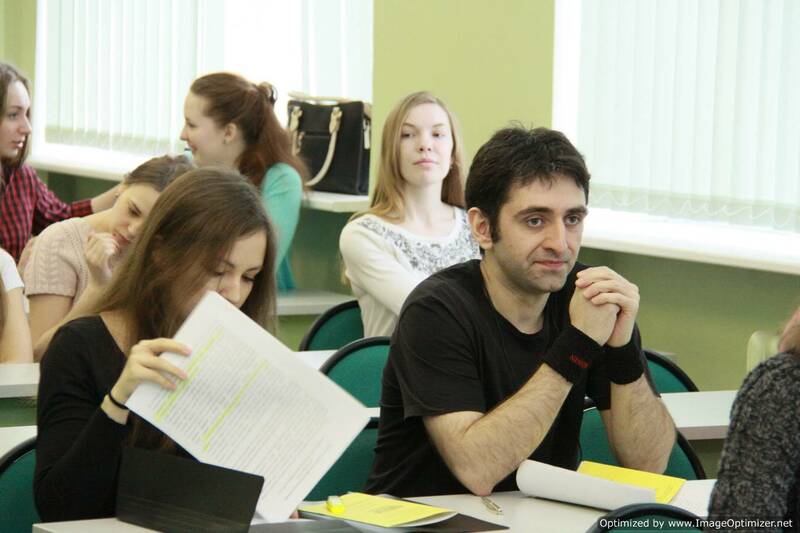 On March 26, 2014 the Center “Nasledie” after Pitirim Sorokin together with the Institute of Humanitarian Sciences of the Syktyvkar State University held the Republican Olympiad among schoolchildren of and junior students “Life and creative work of Pitirim Sorokin”. The Olympiad was attended by 35 pupils from 8 educational institutions. 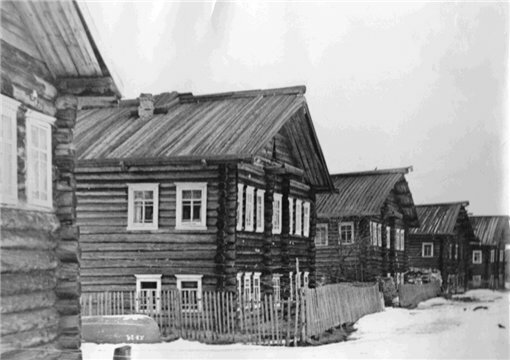 As results of the Olympiad, the winners in two groups were revealed - among schoolchildren and among students. On March 19, the methodists of the Center “Nasledie” after Pitirim Sorokin held a regular meeting of the debating club. The topic of the declared debates has always been and will be relevant. 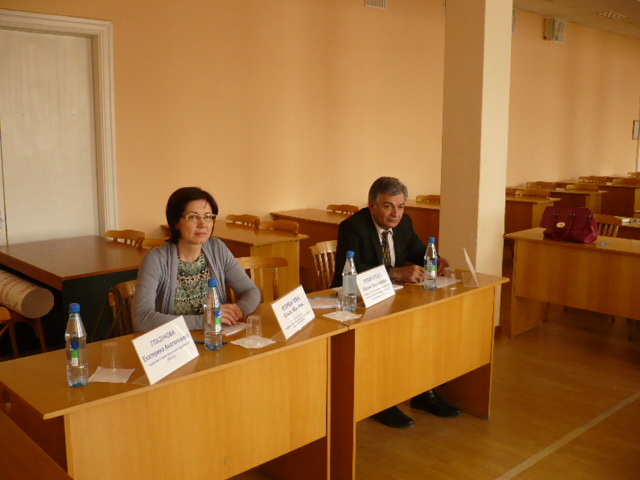 Students of the Syktyvkar State University – Ovchinnikova Emma and Konoplev Alexey spoke in defense of security. Their opponents were students of the Komi republican academy of state service and administration – Luzhnaya Julia and Galkin Ivan. 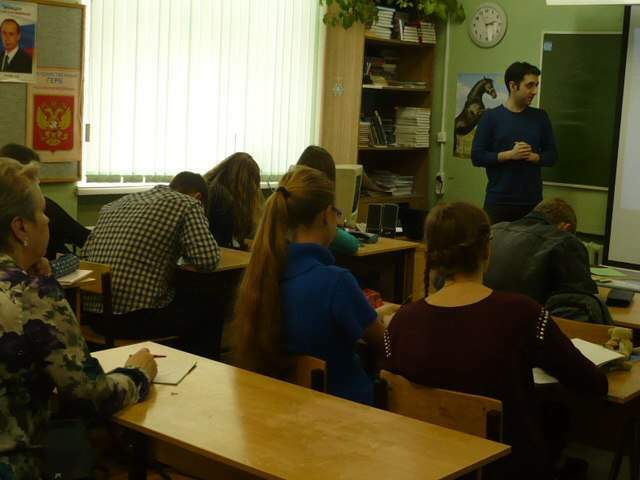 On March 18, the methodists of the Center “Nasledie” after Pitirim Sorokin conducted a lecture, devoted to the theories of social mobility and social stratification of Pitirim Sorokin, for pupils of the Technological Lyceum. 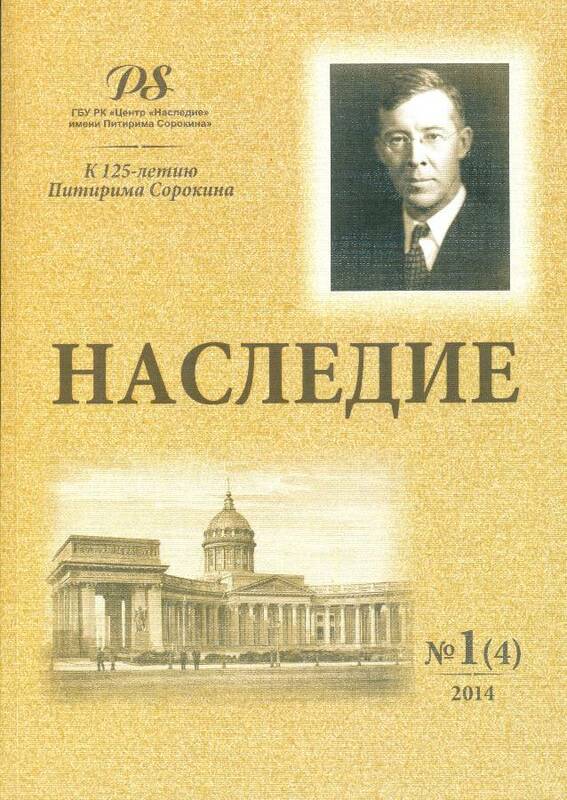 The Center “Nasledie” after Pitirim Sorokin and the Institute of the Humanitarian Sciences of the Syktyvkar State University announce the holding of the Republican Olympiad “Life and creative work of P. A. Sorokin”, timed to celebrate the 125th anniversary of the birth of P.A. Sorokin.